Turkish Airlines has revealed its new business class seat for its Boeing 787 and Airbus A350 aircraft. 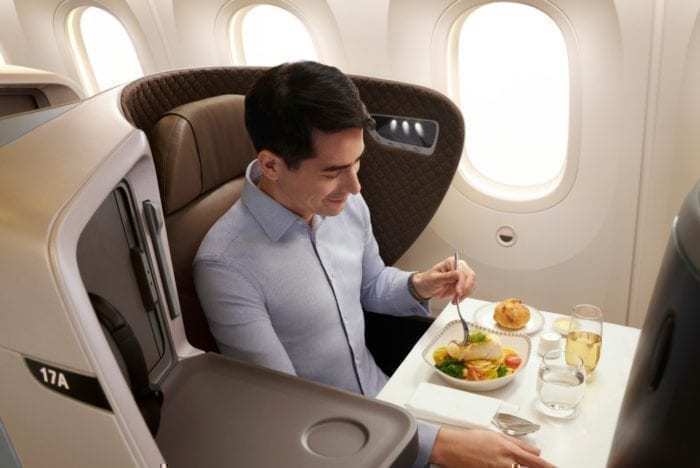 According to Australian Business Traveller and Arabian Aerospace, Turkish Airlines has chosen Stelia Aerospace to supply the business class seats for its new aircraft. The airline has placed orders for 25 Airbus A350-900s and 25 Boeing 787-9s. Deliveries of both aircraft types are expected to commence later this year. What will Turkish Airlines’ new business class seat look like? 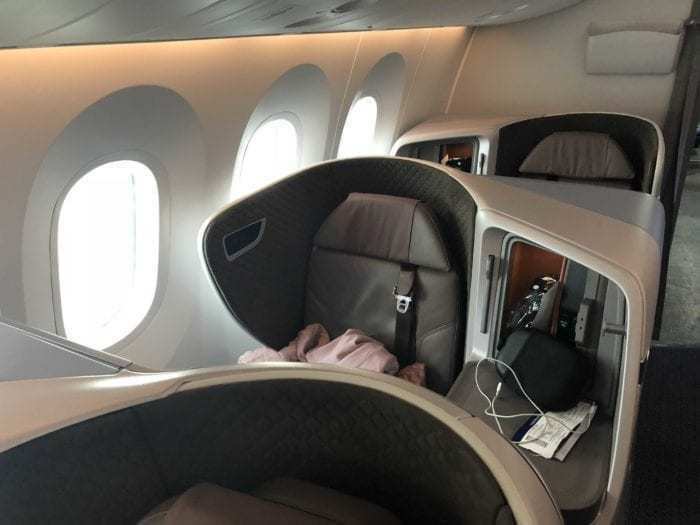 Turkish Airlines’ business class seats will be very similar to the new regional business class seats found on Singapore Airlines’ Boeing 787-10 aircraft. Turkish Airlines’ new seats are expected to look almost like Singapore Airlines’ business class seats on the Boeing 787-10. Photo: Singapore Airlines. The seats are described as “full flat, full access, full privacy” and will provide added passenger comfort during long flights. The seats will fold into full flat beds and have a privacy screen between the middle seats. The screen can be raised whenever privacy is desired or lowered for conversations. In addition, they will feature a 44” seat pitch as well as a big footwell. Furthermore, we can expect an 18” HD touchscreen monitor for passenger entertainment. Moreover, Stelia Aerospace will use Alcantara padding for the interior trimming of the seats. Alcantara is a suede-like material that is typically used for the interior of sports cars like Lamborghinis. The material will make the seats feel even more luxurious. The seats fold into full flat beds. Photo: Singapore Airlines. As Simple Flying reported last month, the seats will be staggered in a 1-2-1 configuration. Every seat will provide direct aisle access. As we can see, the seats consist of the actual seat and a shelf. The seats will be arranged in an alternating layout. This means, for some of the window seats, the passenger will sit directly at the window, while for the others, the passenger will sit at the aisle with the shelf right next to the window. The same holds true for the middle seats. Some seats will have the actual seats right next to each other, while others will have the two shelves in the middle. Stelia Aerospace is owned by Airbus. Its headquarters are in Toulouse, France. The company manufactures a variety of aerospace products and is well known for its business and first-class passenger seats. According to Stelia Aerospace’s website, the company’s seats can be found “onboard Airbus and Boeing aircraft of more than 40 airlines” [and] offer the perfect balance between luxury, innovation and comfort.” The company sold over 2,500 seats in 2017. 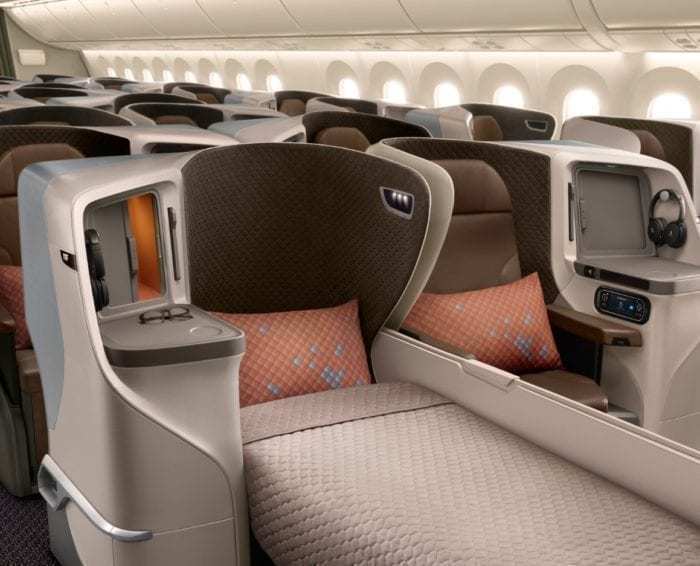 This is what Singapore Airlines’ regional business class seats look like on a flight. Photo: Simple Flying. It appears that Turkish Airlines made a great choice with its new business class seats. Unfortunately, they will only be featured on the airline’s Boeing 787 and Airbus A350 aircraft. The airline is not planning on replacing the business class seats on its Boeing 777, Airbus A330, and Airbus A340 aircraft for the time being. We are certainly looking forward to checking them out on the new aircraft though. Are you looking forward to Turkish Airlines’ new business class seats? Where do the elbows go? I don’t see any elbow room! I wish they had more camera angles. If they’re full width into the foot well then they’re a huge step up from the overly constrictive foot space on most business class seats (which I find relatively uncomfortable)… enough so that I’d look for those seats when travelling.